The annual Mid-Eastern Thanksgiving Dinner will take place at Guardian; Saturday, Nov. 17th, doors open at 4:30 pm, Dinner at 5:00 pm. 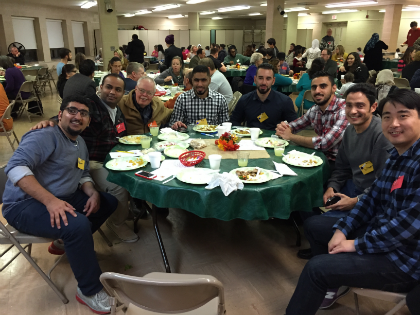 Our Mid-Eastern neighbors who attend English classes at various Christian churches in the Dearborn area are invited to experience an American Christian Thanksgiving (food is Halal). There are activities planned for adults and children. These activities are fun, provide fellowship, and include a message on what makes a Christian Thanksgiving. Participants receive great food for the body, "food for eternal well-being" is freely offered. For more information please speak with Mr. Dickhudt.